May redeem multiple coupons per person. Coupons must be redeemed within one month of purchase. Delivery option available for an extra $3 charge. Non-Refundable / No carry over. VAT included in price. Standard terms & conditions apply. 3-day return and exchange policy; clothing items must be unused and in their original package. Accessorize your plain shirts and get extra warm this winter with a statement cardigan! 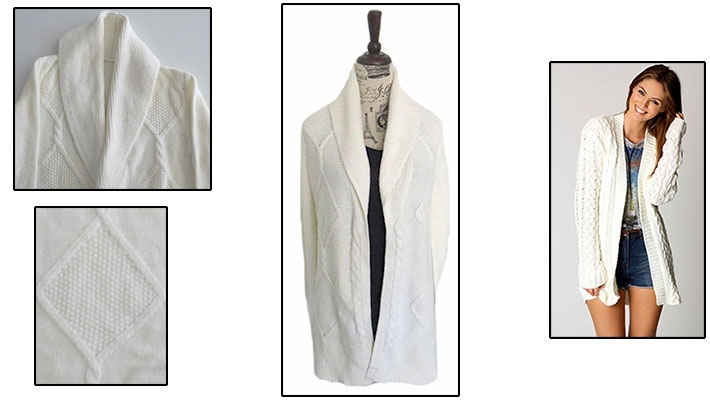 Get this Women's Off-White Knitted Cardigan for only $14.66 instead of $50.